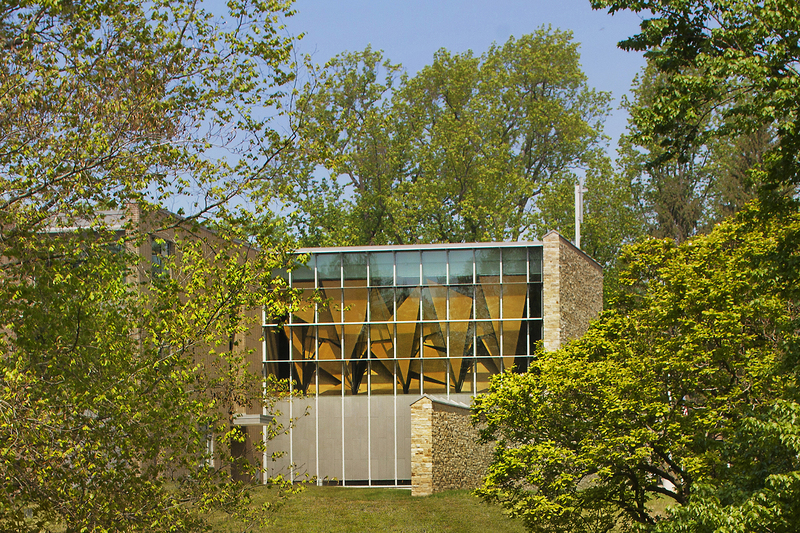 This chapel is one part of a new residential community for the New Colombiere Jesuits in Baltimore, Maryland. Two “tree canopies” filter daylight from the north and south curtain walls while defining a nave and side-aisle organization enabling ceremonial Catholic traditions. 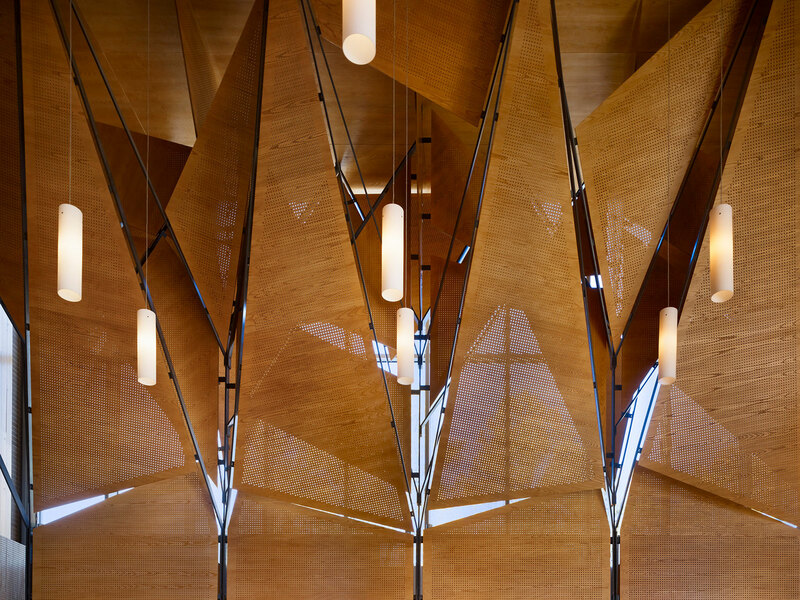 While the steel frame remains consistent in each bay, the perforated plywood infill panels vary in shape to allow for pockets of light to bounce through the layers, creating a dynamic atmospheric space. A case-study in digital coordination between designer and multiple fabricators, the steel and wood components were precisely fabricated off-site and quickly assembled onsite. 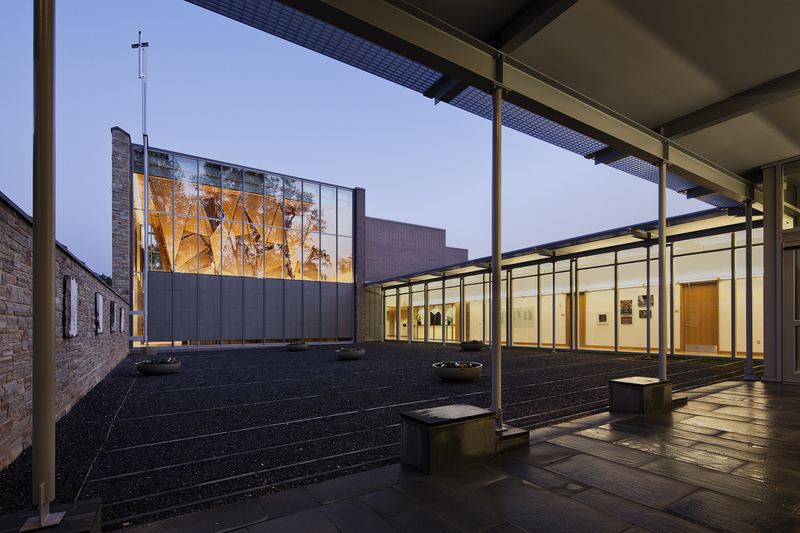 Project completed by Bohlin Cywinski Jackson – Ryan Keerns involved as Project Designer.